Foster care is lonely. I won’t lie to you about that. When you come home from the hospital with a brand new baby, everyone wants to stop by with meals and new outfits, so they can hold the baby. But in foster care, no one knows how to reach out. No one knows that the days are long, and the nights are, in some ways, more difficult than they are with a newborn baby. You see, bringing a child who is hurting into your home means that you have to get up several times in the night because that’s when the nightmares start. It means that you have to constantly be vigilant on watching them during the day because they don’t know to not leave with a stranger at Chick-Fil-A. Strangers are a part of their everyday life, and they’ll go with anyone who speaks kindly to them. Their love tank is running low, so they will hug anyone that will hug them back–even that strange man sitting on the bench outside of the gym. It’s about giving them a lot of love but not neglecting your own kids. It’s about having your kids share their toys but also not letting the foster child take advantage of their generosity. One minute, you are in a normal routine with your own kids, and the next minute, your world is turned upside down as you try to figure out how to help a child, who desperately needs your love, fit into that routine. Suddenly, you have to throw your routine out the window and just strive at making it through the day. Some days are really, really good. And some days are really, really bad. Currently, I have one who is having a full-blown meltdown. I don’t know why. This child can’t communicate well, so I am left floundering around to figure out what triggers are causing the temper tantrums. Is it sin, or is it insecurity, or is it misunderstanding, or is it fear, or is it anger? So many possibilities, and I feel like a new parent, who is struggling to understand the cries of this strange little person who has entered our home. Foster care is messy, and it’s hard. But when I want to throw in the towel, I think about how Jesus rolled up His holy sleeves and dug right into the mess. He sat and ate with the worst of society (Mk. 2:15-17). He touched the unclean and healed them (Matt. 8:1-4). He opened His arms to the little children (Matt. 19:13-15). In church last night, we heard from a team who traveled all the way to South Africa to help the children in the orphanage there. Our church is adopting that orphanage and partnering to help raise these children, who are losing their parents to AIDS. I cried as I saw the church helping the orphan, just as God commands us to do all throughout scripture (Deut. 14:28-29; Acts 20:35; Jer. 7:6; Job 29:12; Jas. 1:27). But there’s still work to be done. We don’t need to go to the other side of the world to help the orphan. We need the church to get into the community and help the orphans who are here at home. We need to see people willing to foster. 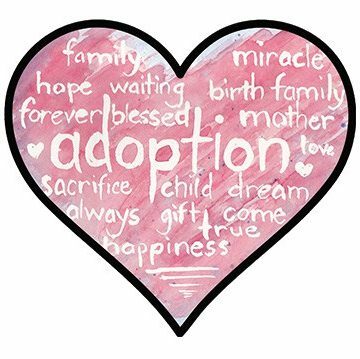 We need people willing to adopt. We need guardian ad litems, who will represent these children in court. We need social workers, who will stand with these children as they bring them out of terrible situations. We need families who will bring meals to the foster families, who will offer to babysit, who will drop off diapers and formula and car seats and clothing. We need churches to offer free child care and training for foster families. We need people who are willing to donate backpacks filled with necessities for these children who are pulled from their beds in the middle of the night. Did you know that most of these kids enter foster care with only a garbage bag of clothes? Two little girls we had only came with one outfit between the two of them and one diaper. That’s it. Thankfully, Walmart is open 24 hours and has diapers and formula at 2 a.m.! I have said this once, and I will say it over and over again until this number is zero. THERE ARE OVER 130 MILLION ORPHANS IN THE WORLD!!! They each have a name. They each have a story to share. If you know me personally, then you have met eleven of them (including my three adopted children). They have come and gone from our home, and I hope that we have filled up their love tanks while they were with us. I hope they will always hold in their hearts that they are loved–even if they can’t remember our names. Please, won’t you pray with me about how you can get involved with caring for the orphan? If the Church continues to ignore their cries, I am afraid we will lose these children forever. If you want to know more information about what you can do to obey God’s command to help the orphan, please feel free to reach out to me. There are so many ways to get involved! I’m happy to talk to you about what you can do!